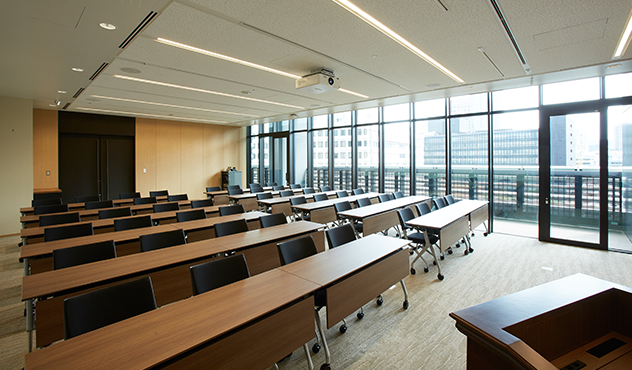 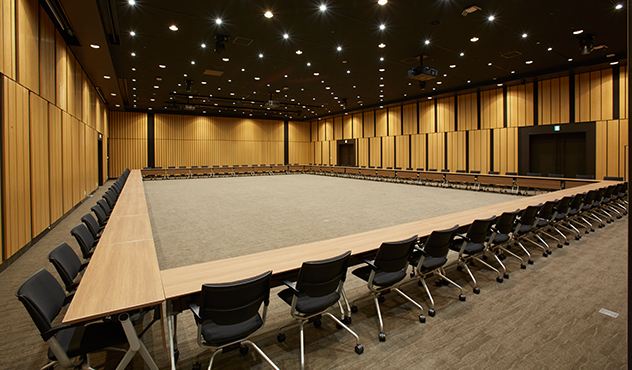 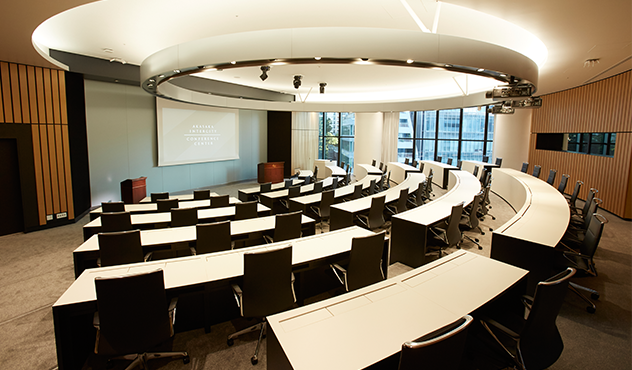 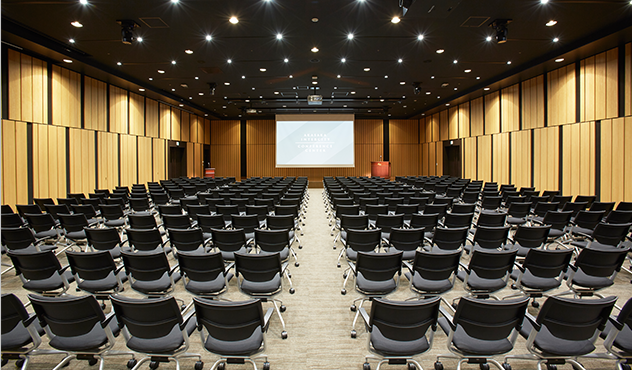 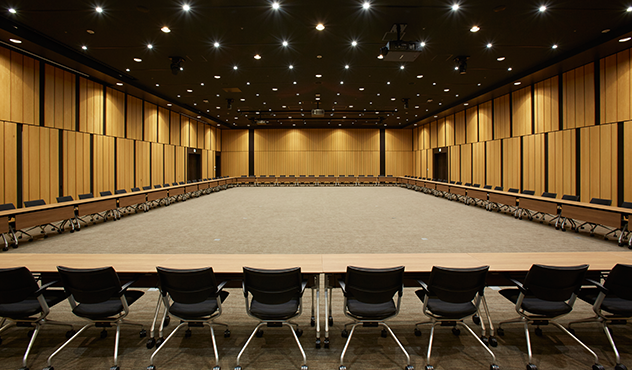 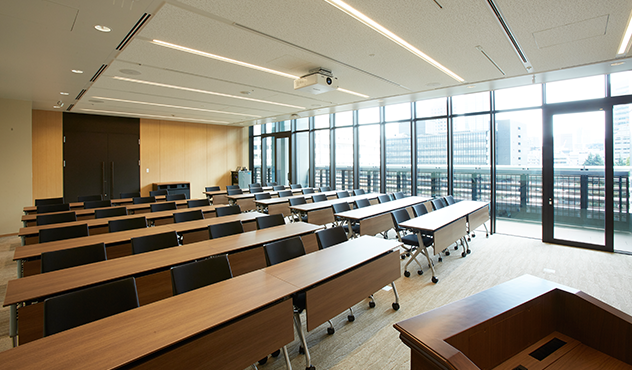 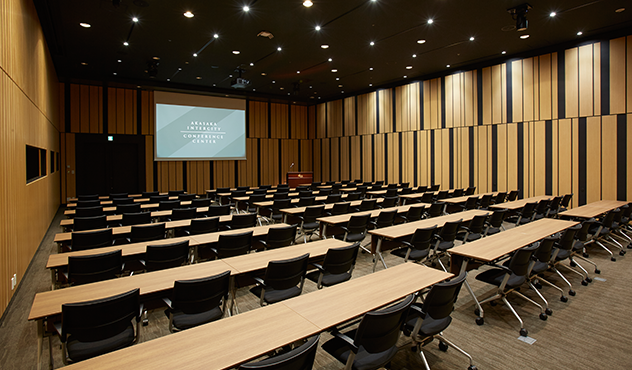 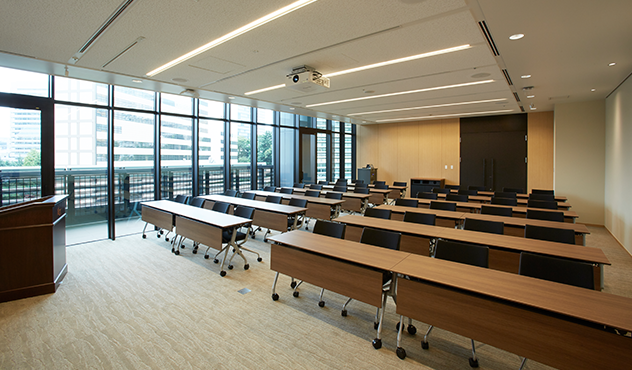 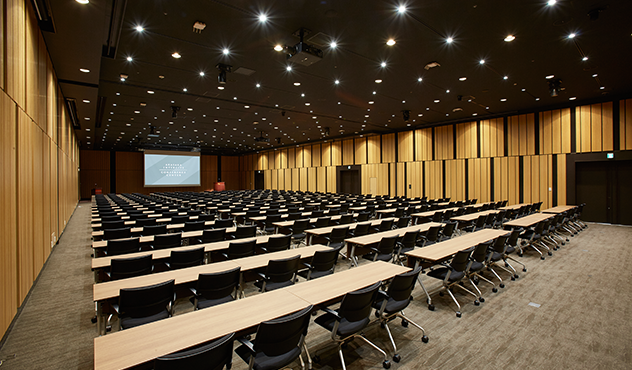 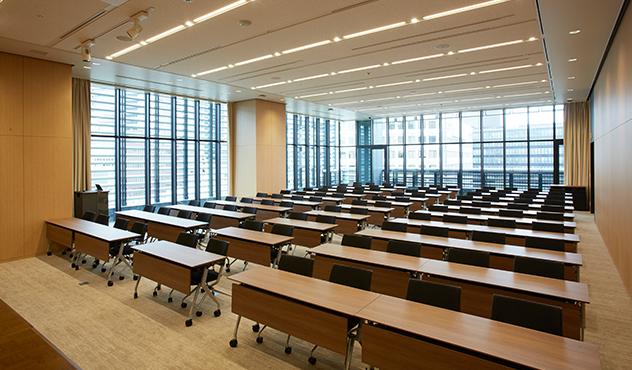 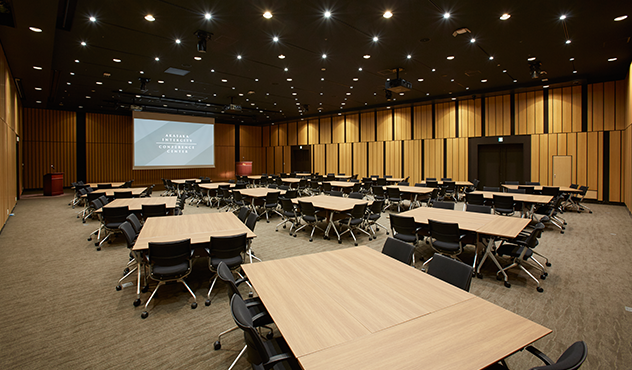 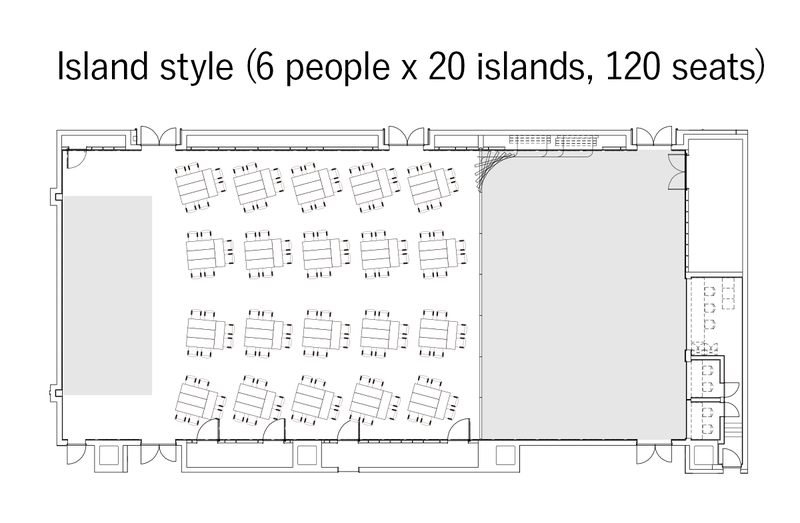 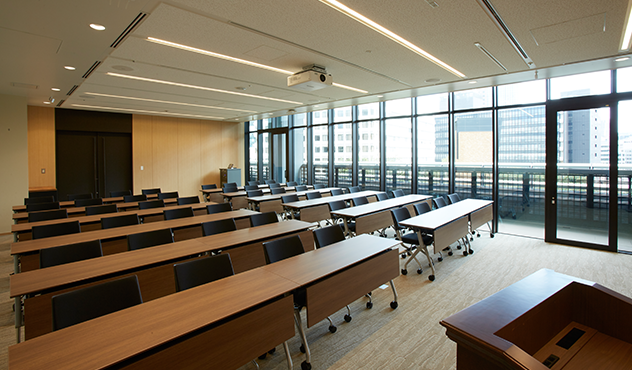 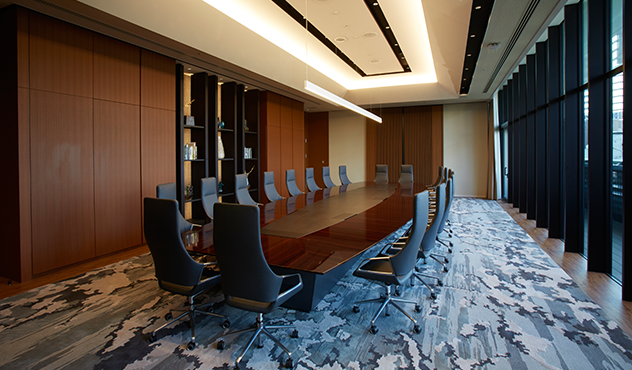 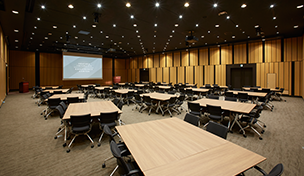 Convenient for 150 - 200-person seminars and lectures. 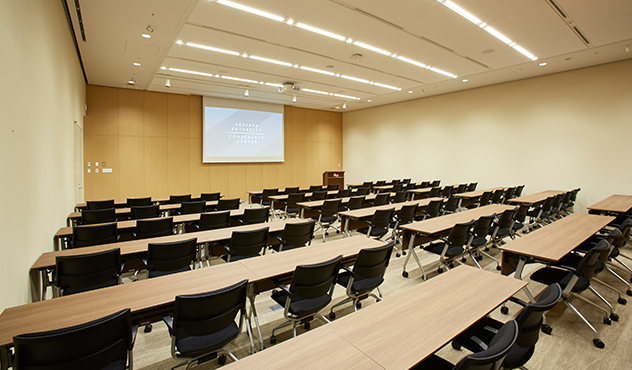 All equipment needed for seminars and lectures. 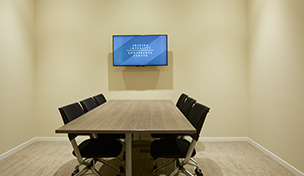 Fully equipped dedicated waiting room. 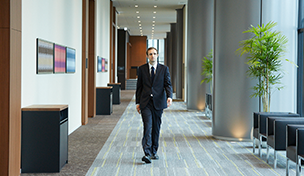 Smooth line of flow to sub-hall. 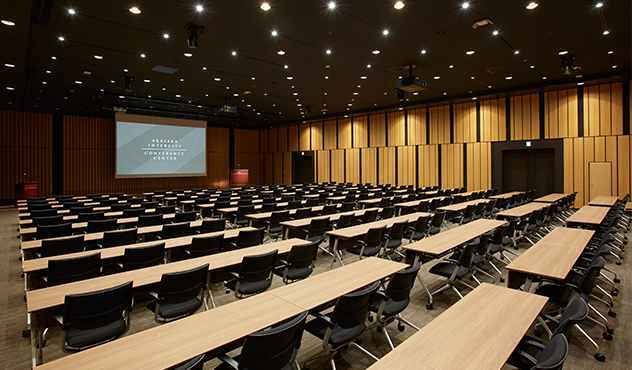 Featuring no pillars and a 4.8m-high ceiling, this spacious hall is equipped with not only a large screen and simultaneous translation booths but also a stage, lectern and mics, making it ideal for seminars or lectures for 150 to 200 participants. 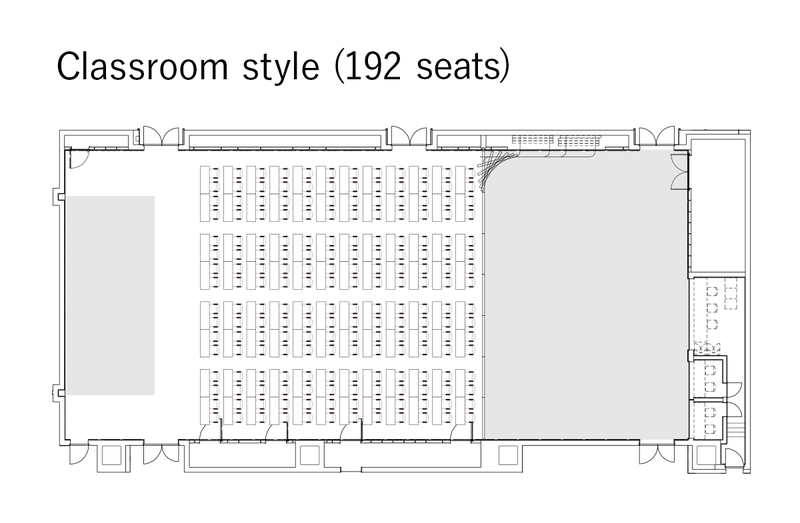 There is a smooth line of flow to the sub-hall and waiting room and it can be adapted for a variety of uses by combining it with the adjacent the AIR (1/3) and the Green. 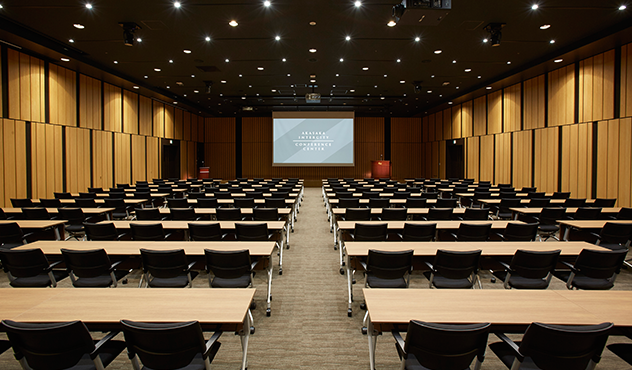 The use of roomy two-person desks and wide-seated chairs with armrests and casters create an environment that keeps participants from tiring even during long seminars. 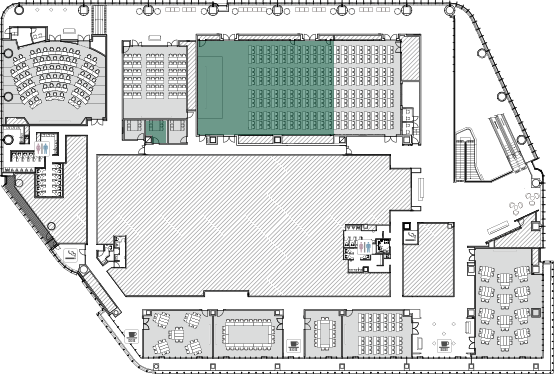 The information and images shown on our website are as of October 2017, and are subject to change in the future. 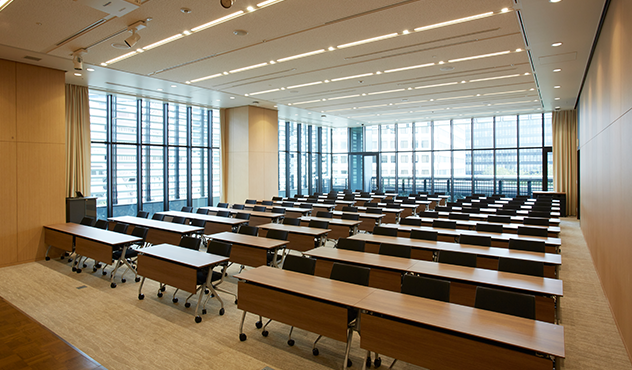 Unauthorized reproduction or copying of any text, data, images, etc. 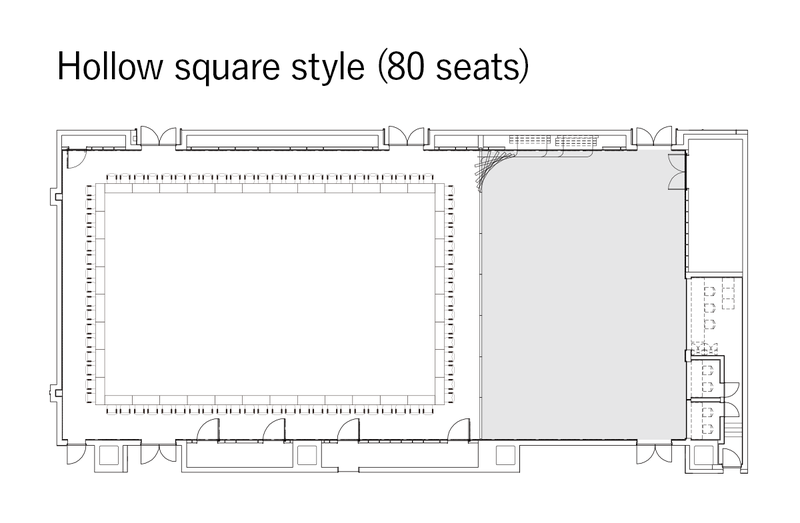 on the website is prohibited. 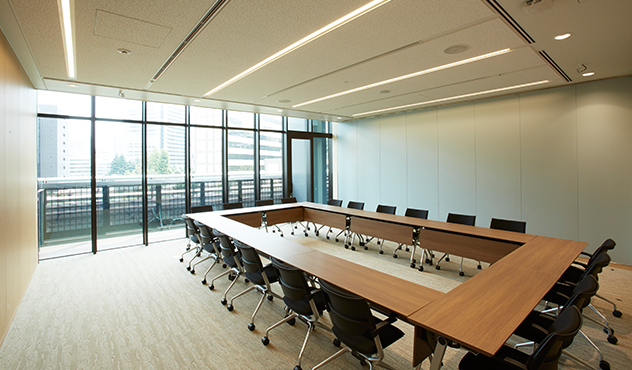 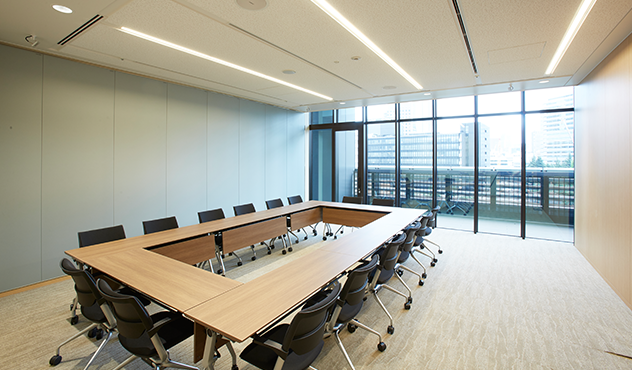 Copyright © 2017 AKASAKA INTERCITY CONFERENCE CENTER All Rights Reserved.